My body tells me when it is Saturday. 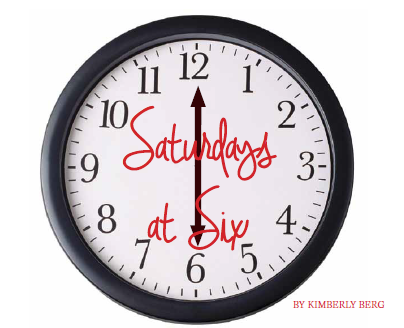 Six o’clock p.m. It always knows. The violent blast. A destructive wave of highly compressed air—squeezing and pressing and flattening it—like it was taking up too much space. I wondered how so much, much too much, could be squeezed and pressed and flattened in the space of so little time. The suffocating dust clouds of fine powder. Carried by the tainted air, consisting of millions of tiny particles of disbelief; my lungs could barely breathe them in. The gravitational force. Pulling, pulling, pulling its critical structural connections toward the center of the earth. Fighting with a severe, solemn surge of strength my body had never felt before, I fell to the floor. The bursting inwards. Of anguish. Agony. Torment. Stabbing pain. Severe sadness. A raw aching. The violent inward collapse. Of life as it had known it. Of the life I had known. Saturday. 19 January 2002. Six o’clock p.m. The phone rang. My heart sank. I had no idea how far it was to fall. The phone rang again. You answered to hear Megan’s voice. Megan’s alive voice. Alive with the pain in her body and the pain in her heart. How much pain can a fifteen-year-old body and heart hold? “Didn’t they tell you? Michael and Courtney are dead.” How does a daughter tell her dad that his son and his son’s girlfriend are dead? How did she tell you? What words did she find for you, lying there with her broken places in a hospital bed? Talking to a chaplain. Not talking to her brother, who had stories yet to live and breathe with her. Only he wasn’t living. He had stopped breathing. What words from your father-heart did you find for her, standing there in the ordinariness of our kitchen—holding only the phone? The pain in her body will get better. The pain in her heart will just keep coming. You turned to tell me. The squeezing. The pressing. The flattening. The suffocating. The disbelief. The pulling. The fighting. The falling. The bursting. The violent inward collapse. I remember the feel of your yellow starched shirt. I remember the agony written in your blue eyes. Familiar eyes that I can read like a well-loved history book. I remember your white face. I remember leaning against the tiled kitchen wall and falling to the wood parquet floor. Your strong yellow arms came to me on the floor. What color of strong is strong enough to hold all of this? Michael had called just a short time earlier to tell me they were safe and having a wonderful time. They were looking forward to the dinner theater at the Iron Springs Chateau that evening. We talked and laughed. Unknowingly, we spoke last words to each other. Last laughs. Last sentiments. The most-recent-in-time words now seem very-distant-past words. We will get no more words. Or time. The soothing voice of Enya singing Only Time had filled their car. If only we had more time. We have no more time. Seldom can you know what time last words will come to you. All words hold the potential of being last words. Trauma brings with it an acute awareness of the complexity of time. Of no time. Time becomes nebulous, disjointed, separated from what is seemingly the regular course of the day. Ordinary life is ruptured by the extraordinary. We typically live passively centered in chronos time: the ordinary, chronological, tick-tock of the clock kind of time that quantitatively measures our days. I am feeling the intense impact of kairos time: the extraordinary holy-overwhelming-interruption-God-given kind of time of a qualitative nature. What is time to God? What is eternal? 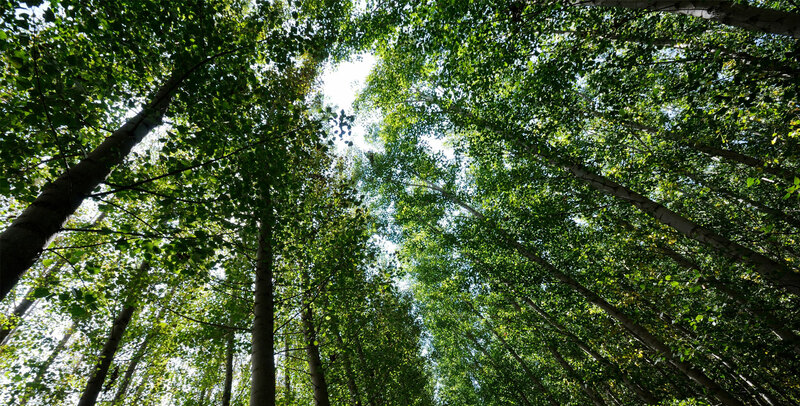 What is temporal? Life is not linear or orderly or neat and tick-tock-tidy. There is no way to quantitatively measure all of the days, all of the time, all of the words that have been lost except by the qualitative magnitude of the hole left behind. I am flailing in a huge hole. Flailing in the intense interruption. According to the chronos clock, thirty minutes after our last words Michael was dead. How do you measure thirty minutes? How can it be possible that the cell phone attached to Michael’s body continued to rhythmically flash its green light, indicating that it was still on—but his heart was not beating? No rhythmic pattern at all: he was dead. Remember? Just the night before? How he burst into our room laughing, talking, flopping down on top of us, chatting away? His phone was attached to his belt like always. The green light was blinking. I hate it when the phone doesn’t ring. We were obscurely aware that the enjoyment we found in collecting antique wooden golf clubs and historical golf books was not so much that we were collectively crazy about all things golf. We knew you were absolutely crazy about all things golf, and we were absolutely crazy about you. Since our wedding day, “I can’t believe I get you!” has been an endearing family mantra. While occasionally expressed in tones of sarcasm, an underlying affection prevails. We wanted to celebrate you—the man we love. Over the years those plaid walls came to hold the stories of us more than they held the story of golf. Then came the creepy day. During breakfast we had planned a valentine’s fondue party for when we would all be together again. The kids headed for Colorado. I headed for an estate sale. Hardwood floors had just been installed in the charming Cape Cod. Not one thing escaped the dust and disarray caused by this invasive home improvement project. Having such a massive cleaning project in front of me, I should not have been out gallivanting at an estate sale. What is it that draws any of us to estate sales anyway? Estate sales beg the question “Is this what it comes to?” Years of collecting historical golf treasures, all to end up in an estate sale. I have collected antique books since I was a young girl. More fodder for the estate sale that would be ours. As I hold them in my hands I ponder whose hands have held them before me, where in the world they have traveled over the years, who originally bought them, gave them, received them, and why. I marvel over the kind of paper that was chosen, the printing process, and the art that graces the covers. Each book holds a story all its own. An estate sale itself begs a story to be told. Someone in this particular house also collected antique books. I could not believe what treasures of story I discovered and would be able to purchase for just a few dollars. Aren’t they worth much more? Life of William McKinley and Complete Story of His Assassination, written in 1901, the year in which it happened, by Marshall Everett and Illustrious Life of William McKinley Our Martyred President, also written in 1901 by Murat Halstad. Inside the cover is written: “The true story, in the shadow of death, passing away, funeral ceremonies; It is God’s way; His will, not ours, be done.” The more-than-one-hundred-year-old books are beautiful works of art. All of a sudden in the mass of people crowding along a steep staircase, an older gentleman was falling down the stairs. He was lying at the bottom stair, not moving. Someone needed to call 911. So I did. The operator told me to keep him still; they would be there right away. No one would listen to me. They kept trying to make him get up. I could have no idea that in just a few hours another woman would find herself in a place where a car with three people inside had just violently rolled six times down a steep embankment, totally crushing it. Someone needed to call 911. So she did. The shadow of death. Funeral ceremonies. It is God’s way, not ours. His will, not ours, be done. What does that mean? I wonder where the eerie euphemistic phrase “passing away” came from. Passing away? The combination of the words pass and away feel strange. Maybe it bothers me because it feels like trying to make death sound more polite. Palatable. Death is not polite. It is certainly not palatable. Death will not be softened by favorable representations. Our son has not passed away. He is dead. Dead. What a strange-sounding word. How is it these stories of death ended up in my hands on the day our firstborn son was to die? That I would call 911 for an injured gentleman. But I could do nothing to help my own. You went upstairs to tell Tyler. He was so quiet. I wondered what was going on inside of him. You have some idea, don’t you? I remember the day your brother Brad died at age nineteen. I felt helpless as you struggled to make sense of it. Today—on the nineteenth day of the New Year—your son has died at age nineteen. You, your father-brother love shaped in the fire of knowing your brother and not knowing your father, will be strong and tender for your son whose only brother has died. Before thirty minutes had passed we started down the same road the kids had traveled that day. How can the familiar look so strange? It was getting dark. How congruous was that. It was getting dark all right. It would be dark for a long time. “Last times” began to hinder my respiration. Breathing seemed to come naturally just an hour ago. Now I had to remind myself. Breathe. Breathe. Breathe. My mind swims in chaos. Would it be worse if both Michael and Megan had died? I cannot even imagine. How could it be worse? How could it not be worse? It would be more of the worst. How much “more” would there be yet to come? Which one of us would die next? If it is not me, I am going to be really ticked. Selfishly, I cannot imagine more of this kind of pain. I cannot imagine life—without you. We need to contact a mortuary. Which one should we call? I have never thought about planning a funeral for our children. Have you? Funeral. What a strange-sounding word. From the Latin funus. Meaning “death.” A ceremony honoring a dead person, typically involving interment: the burial of a corpse in a grave or a tomb. Corpse. What a strange-sounding word. Indicating that a change has occurred—a human body that is no longer alive but dead. We drive through the night in numbing shock and begin to wonder about Michael’s funeral. We want to tell stories with words and music. One of the stories we will tell is of Horatio G. Spafford, an attorney who lived in Chicago. In 1871 he lost a financial fortune in the great Chicago fire. That could not compare with the death of his four-year-old son due to scarlet fever around the same time. In 1873 he planned to take his wife and three daughters on a restorative vacation to Europe. An urgent matter caused him to send them on ahead with his promise to join them as soon as possible. While they slept in the night, their ship collided with an iron sailing vessel in the icy ocean. Michael was born on November 22. Horatio and Ann Spafford’s three young daughters all died on November 22. Ann cabled her husband: “Saved alone.” He rushed to join her. The ship captain called to Mr. Spafford in his cabin as they passed over the place in the sea where his daughters had died. He later penned the words to the hymn It Is Well with My Soul. We will join hands with our family and friends at Michael’s funeral, and we will sing It Is Well with My Soul. You know this place, don’t You, God? I want to know You. In this place. How will we know Your suffering if we don’t enter into our own suffering? I held tightly to Michael’s favorite soft leopard blanket, although it did not stop the chills running down my spine. Everything felt so unnatural. Unearthly. It was like we were in a capsule. Catapulting into very dark darkness. We arrived at the hospital—located on Lincoln Street, the same name as the city we live in. I could not get to Megan fast enough. I looked into her eyes. One of them was not her normal big, beautiful blue, same as you, but all red and filled with blood. I hope it is not as bad as it looks, that it will be well again. Will she be well again? I began to hug her, only it hurt her. Holding hands was the most we could manage without inflicting more pain. To see her … hear her … be with her. Michael and Courtney had been taken to a mortuary a few miles down the road. I wanted to go with you to meet the coroner. To go to the car. Collect their things. To see the car would be very difficult. I wanted to see Michael. Much more difficult—but they wouldn’t let us. They wouldn’t let us? I wanted to do everything together, but that was not possible. The doctor was coming to talk to us at the same time. I stayed to meet with him. I saw the coroner handing you Michael’s phone. I heard him tell you he had turned off the green blinking light. I struggled to look into the doctor’s face, listen to his voice, and take notes on his instructions about how to take care of Megan and her injuries all at the same time. Where was my mind? In so many places. I felt terribly distracted. The nurse graciously insisted I try to eat some soup. I could barely look at it. I was going to throw up any minute. Just as graciously, she took it away. My aunt and uncle, a few friends, my brothers and sister had come. Meeting them in the corridor, I leaned against the wall trying to stay vertical but had to slide my way down the wall to the floor, trying not to faint. My body was working hard amongst its own parts to keep things functioning. It has never forgotten, and so reminds me. Sometimes, I still have to lean against the wall. 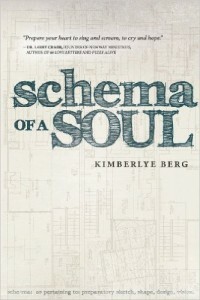 If you liked this article, Kim Berg’s book “Schema of a Soul” is available on centering.org.